This one thousand page work was taken from the original ten volume series of Warfield works first published by Oxford University Press which has been popular for years as a corpus of his writings. Volume 1 covers German rationalists but this study’s foci is in volume 2 with such men and movements as Asa Mahan, Charles Grandison Finney, Hannah Whitehall Smith, the Oberlin teaching, the Higher Life teaching, the Fellowship movement, Keswick, and the Victorious Life movement, mostly as they appear in English-speaking countries. 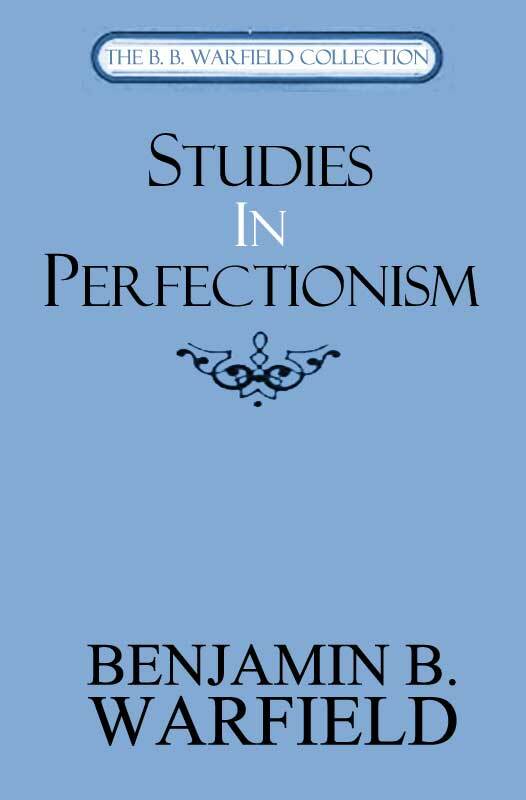 Perfectionism is a phenomenon which, if dealing exclusively in the Christian context, has appeared in Catholic, Arminian/Weslyan, Quaker and Quietists circles. It has been most prominently displayed in the Keswick and Victorious Life movement. The predominate theme of Warfield is that sin is under-evaluated and under-appreciated by these perfectionists, and that sin consists of any failure to conform to the law of God. In Warfield’s view, the perfectionists discussed have a theoretical rather than actual perfectionism. Salient arguments and a great deal of vital history make this a most useful book. Finney’s theological perspective was largely shaped by the Congregationalist N. W. Taylor. A distinctive aspect of this perfectionism is that “what is taught is a perfection that consists in complete righteousness, but in a righteousness which is adjusted to fluctuating ability.”4 A person is not responsible for righteousness beyond what he knows that perfection to be.